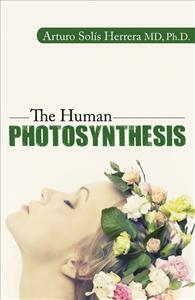 The Human Photosynthesis, the millennium´s discovery. The Human Photosynthesis process constitutes an impacting finding. The analogy between our body and plants is astonishing. Humans and plants have a common very first step: the separation of the water molecule into diatomic hydrogen (H2) and Oxygen (O2). The concept of Photosynthesis (building-up something using the Energy of light) is presently applied only to the plants kingdom. However the unraveling of the intrinsic property of melanin to split and re-form the water molecule breaks the paradigm. During a study about the three main causes of blindness initiated in 1990 in Aguascalientes, México; Dr. Solís Herrera found the previously unknown capacity of melanin molecule to absorb photonic energy, dissipating it in a unique manner: splitting the water molecule. The very first step of life in plants and humans is practically the same: the dissociation of the water molecule.